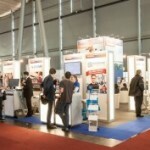 From March 10th to 14th, CeBIT, Germany’s biggest digital technology trade show, will be taking place in Hannover. You will be able to find us there at the joint Computerwoche stand in hall 9, stand J28. We will be presenting our company and answering your questions about careers and the gaming industry. The focus of CeBIT this year will be Datability, the ability to analyze large quantities of data very quickly while handling the data responsibly. Our employees Fabian and Tim will explore the topic in their presentation “How Quantity Can Lead to Quality: Big Data at Goodgame Studios”. This will take place on March 12th at 15.30, in the Computer Week career center in hall 9. We look forward to welcoming lots of interested guests.